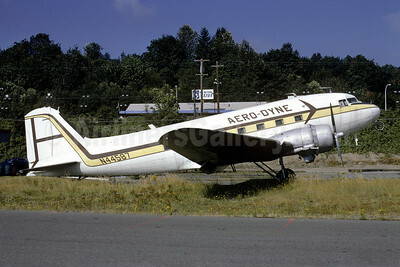 (Aero Dyne Corporation) (Renton) 1965 - 1985. Photos. Framable Color Prints and Posters. Digital Sharp Images. Aviation Gifts. Aero-Dyne Airlines Douglas C-47A-DK (DC-3) N44587 (msn 12857) RNT (Bruce Drum). Image: 102262.